The Daniel Plan – 40 Days to a Healthier Life. This is a groundbreaking approach to achieving a healthy lifestyle that is both transformational and sustainable. The Daniel Plan is centered on five essentials that will guarantee your success: faith, food, fitness, focus, and friends. To subscribe to daily advent devotionals from DUMC during this holiday season, click here. 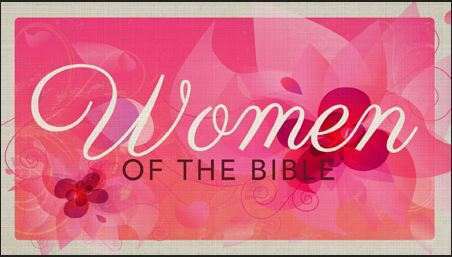 Women of the Bible Summer Study Starting 6/6! Conquer your giants with us starting Wednesday! 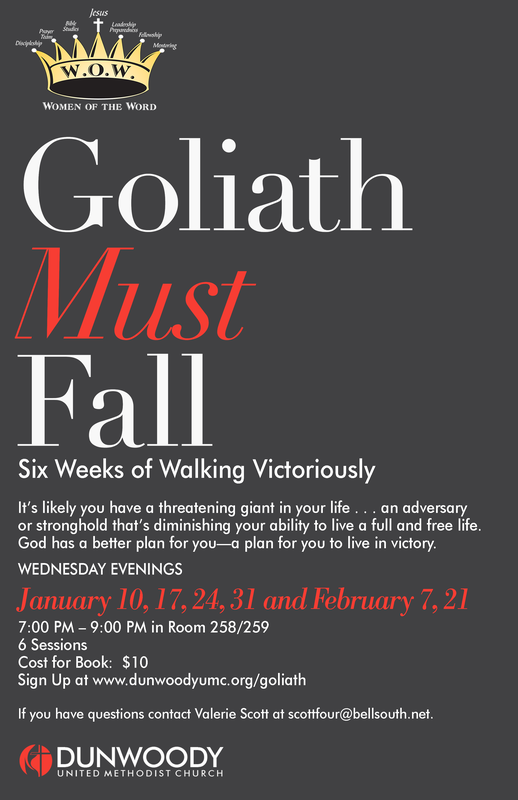 The Women of the Word (W.O.W) from Dunwoody United Methodist Church invite you to join us for an upcoming Wednesday morning study: Goliath Must Fall…winning the battle against your giants…a Louie Giglio Bible Study. You can sign up, pay for your book and register for childcare all online! A friend handed me a Dunwoody Baptist Program Brochure and I realized I’ve never posted about Men’s Bible Study Opportunities before. So here goes….See image below and Click here to find more details on the Dunwoody Baptist Church Website. The W.O.W. (Women of the Word) Ministry at DUMC would like to announce details about our upcoming Wednesday morning Bible Study. Wednesday Mornings, January 10, 17, 24, 31 and February 7, 14, 21 and 28 9:45 AM – 11:45 AM, Dunwoody United Methodist Church, cost for Book: $10. The W.O.W. (Women of the Word) Ministry at DUMC would like to announce details about our upcoming Wednesday evening Bible Study.